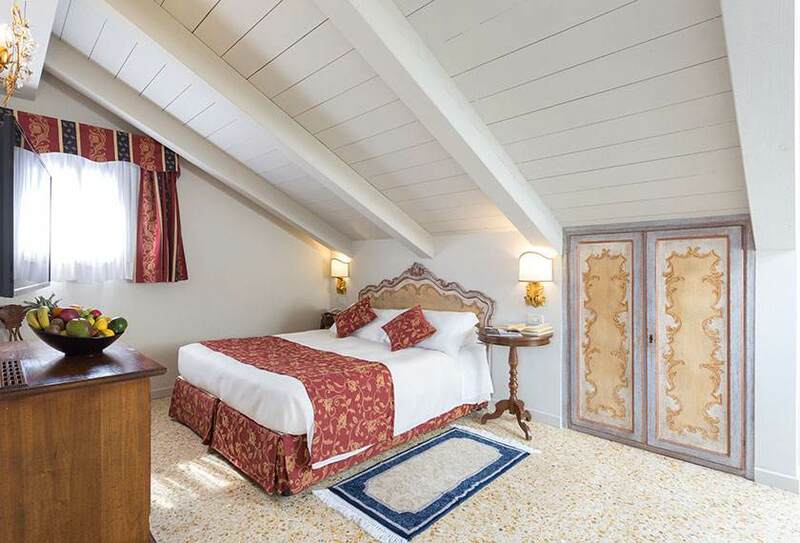 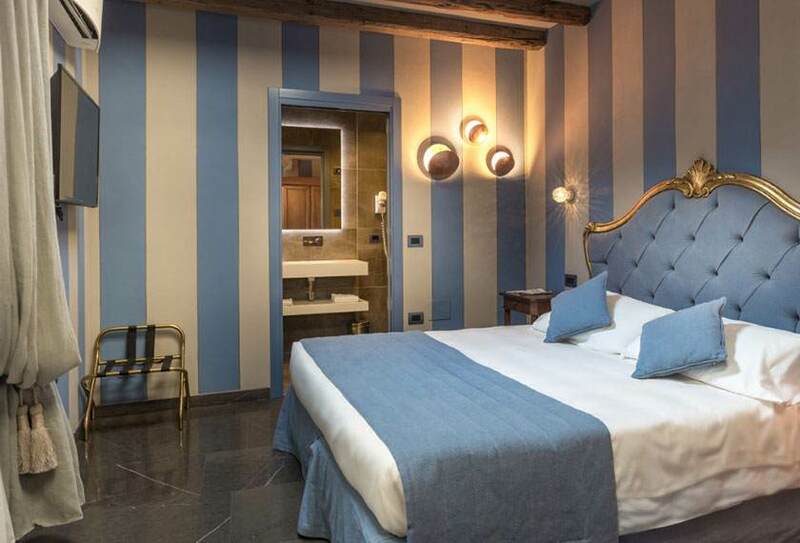 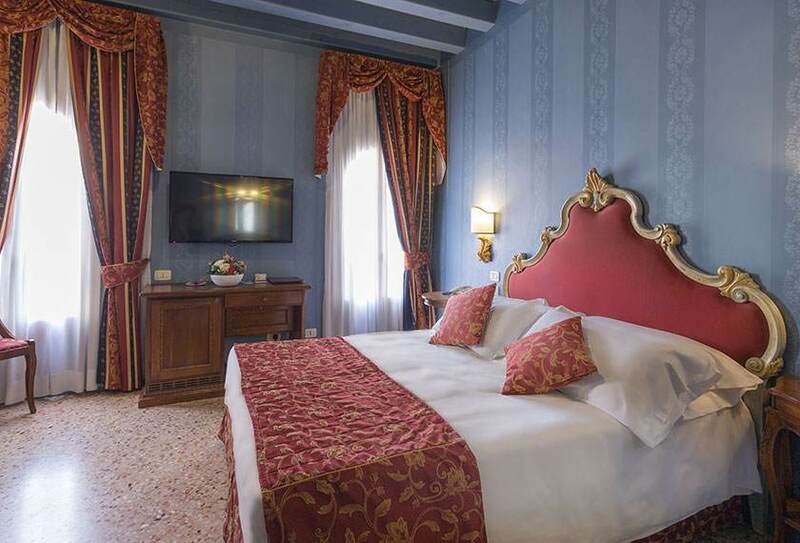 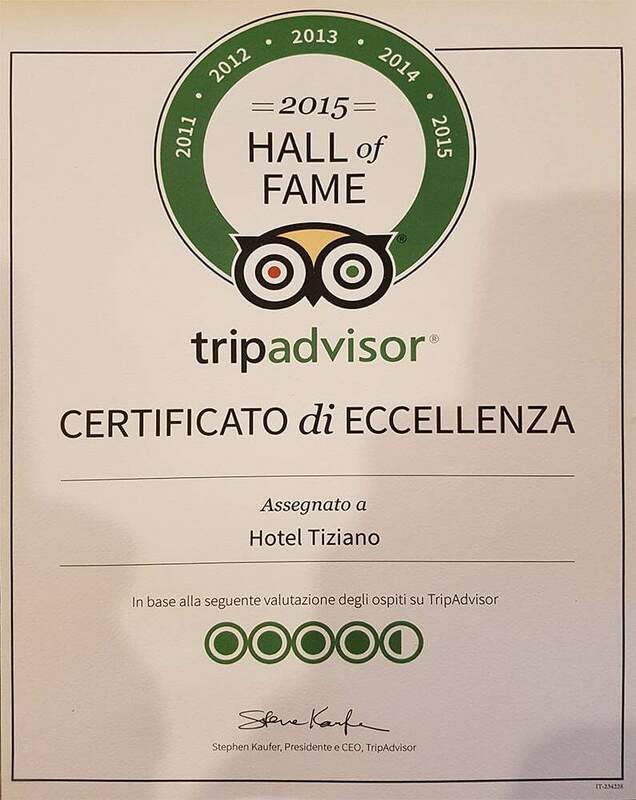 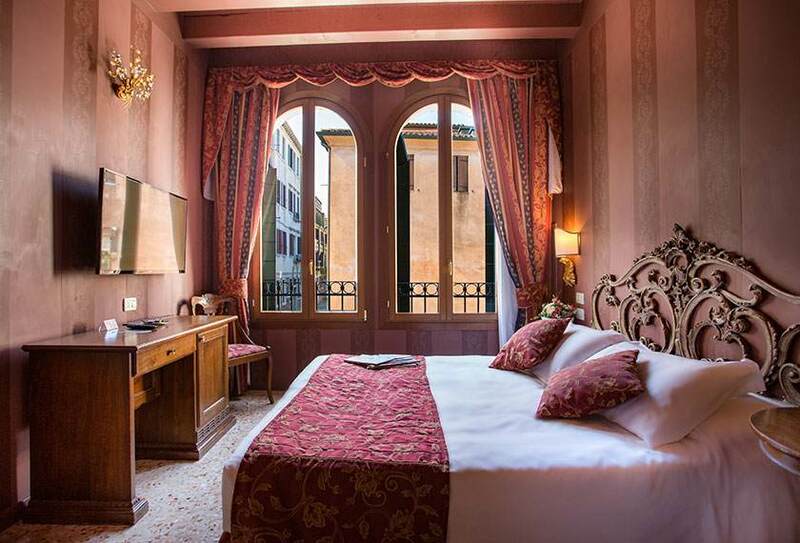 Hotel Tiziano’s rooms are a combination of comfort and refinement. 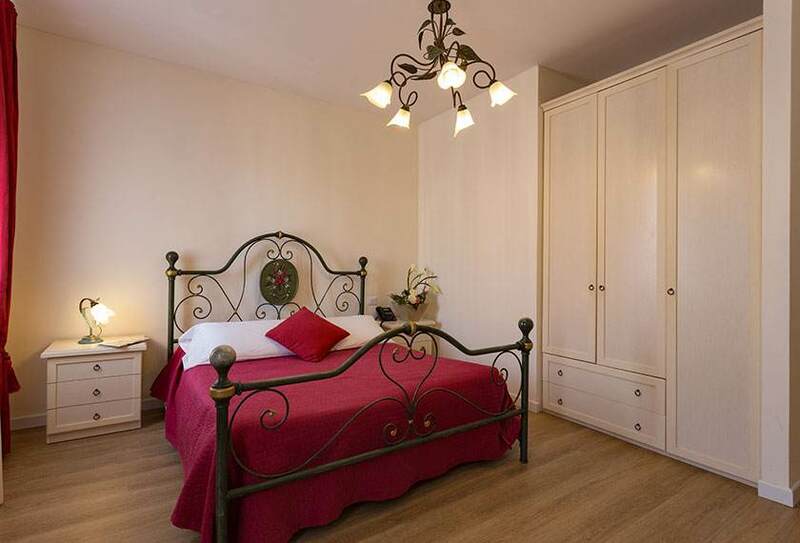 The stylish furniture, priceless and harmonious like works of art, is inspired by famous local artists. 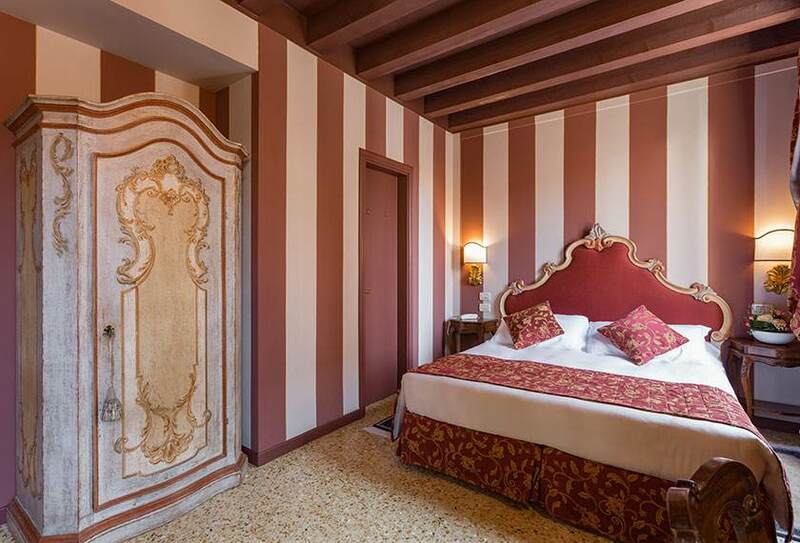 Let yourself be seduced by frescoed furniture, Venetian floors, exposed beams, Murano glass chandeliers and fabrics tinged with gold and Titian red. 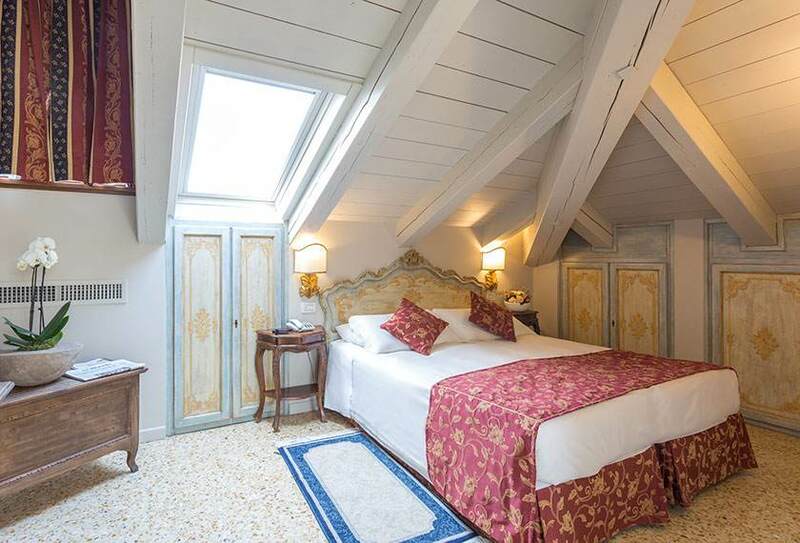 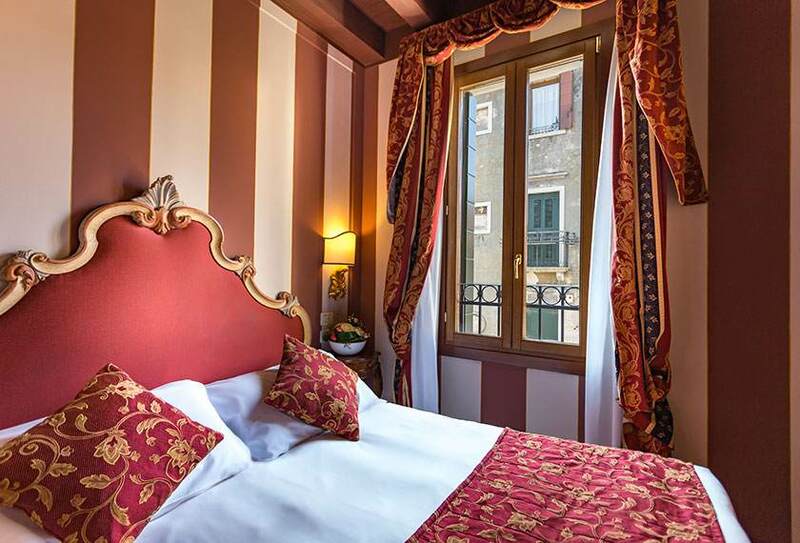 In each room there is air conditioning and/or heating, wi-fi, safe, telephone, LCD TV and mini bar but, above all, the charm and Venetian passion. 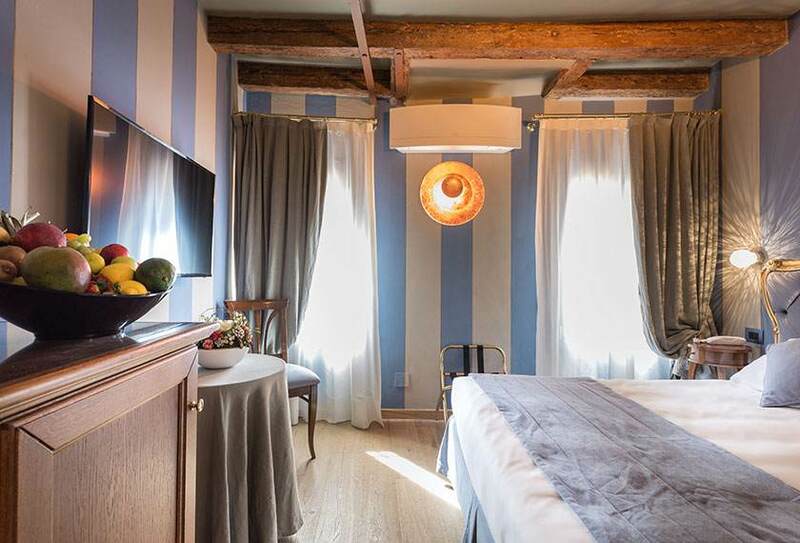 Check in: at 3:00 p.m.
Breakfast: from 7.00 a.m. to 10:00 a.m.
With double bed or twin beds and view on a typical Venetian small square. 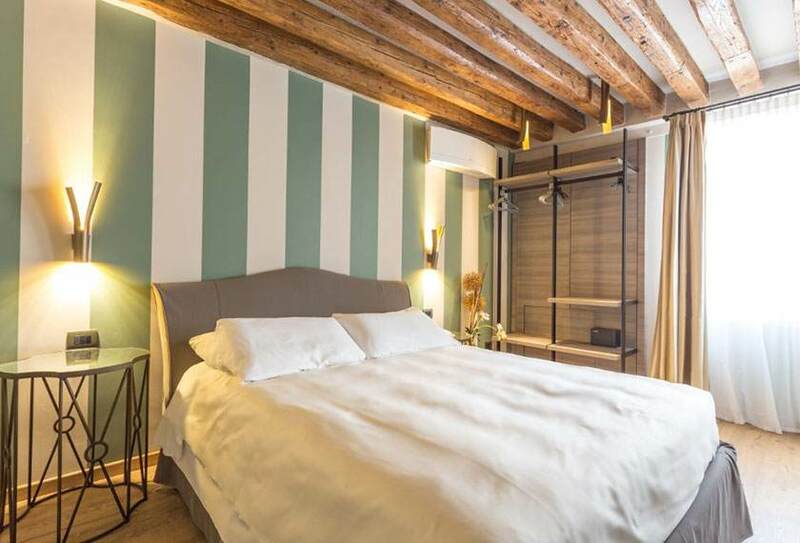 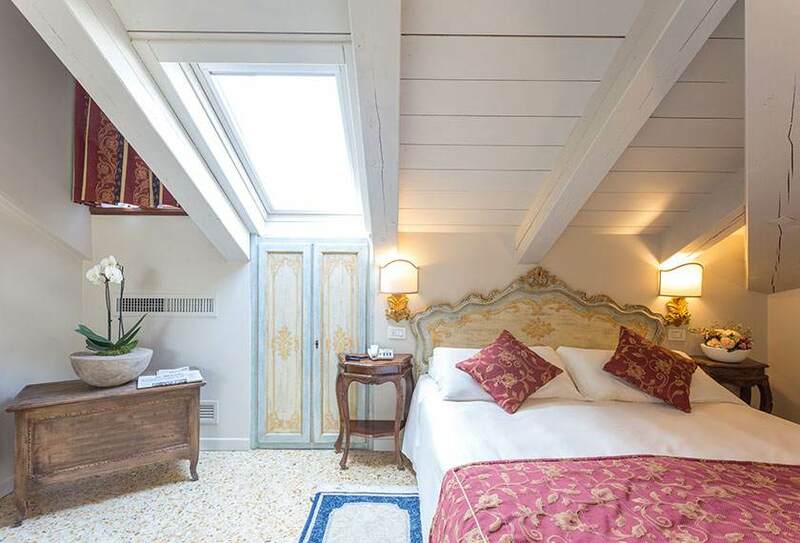 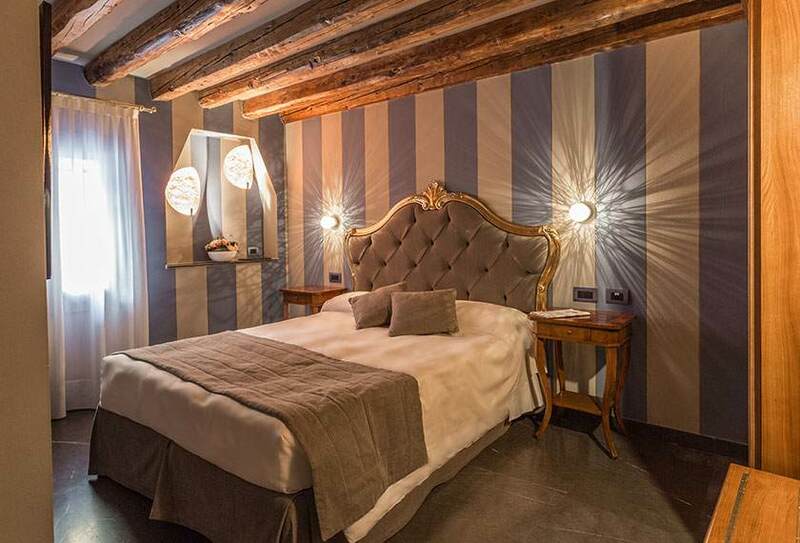 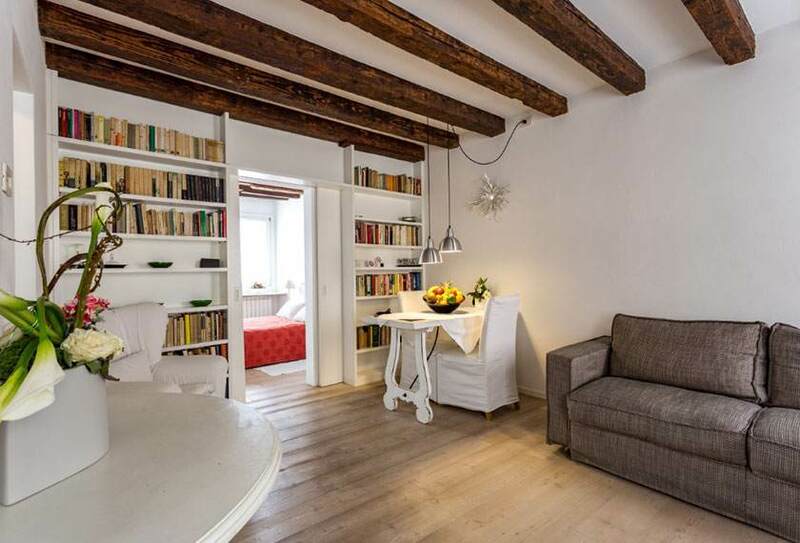 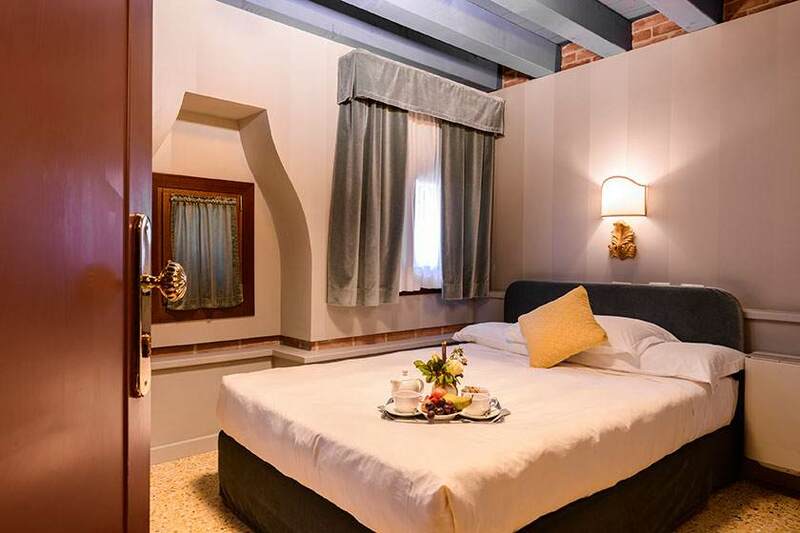 With double or twin beds, on one side overlooks the quiet canal “Rio delle Terese”, on the other side has a view on a typical Venetian small square. 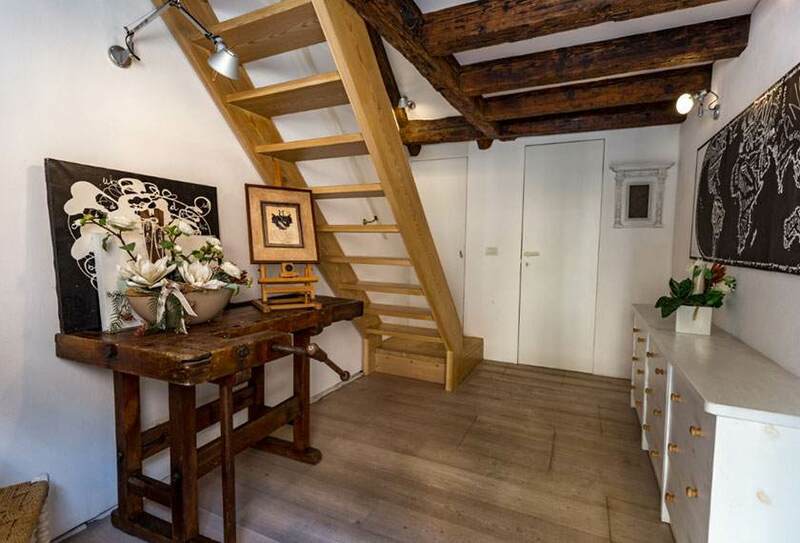 Loft with double bed or two twin beds and a third bed, also ideal for families. 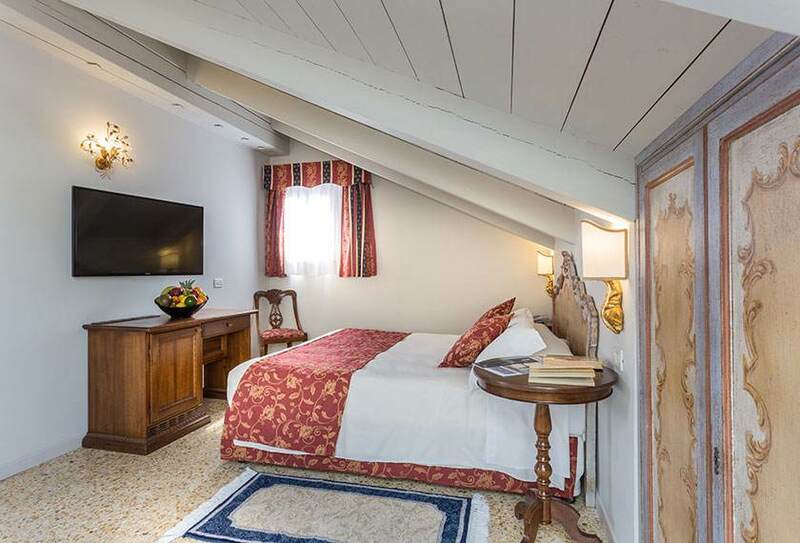 Mansarded, comfortable and spacious it has 4 sleeping accommodations, perfect for families. 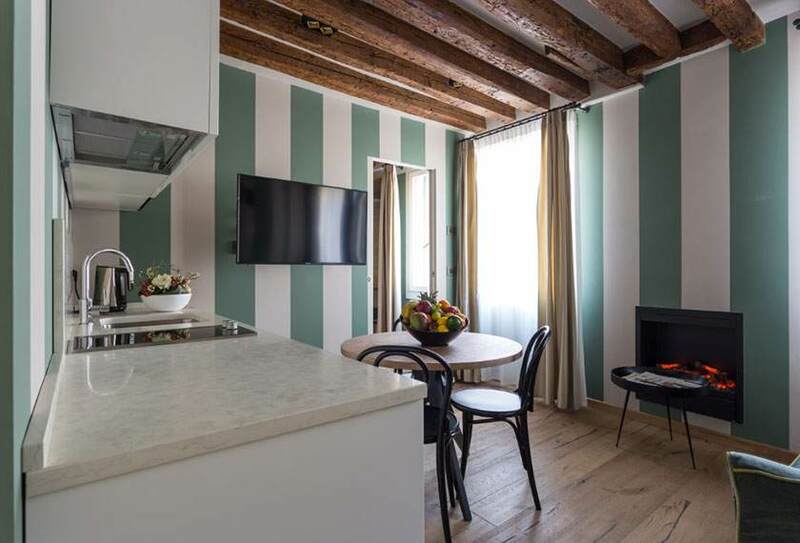 For those seeking an independent and stand-alone solution, Hotel Tiziano has two comfortably furnished apartments located about 100 meters away from the hotel. 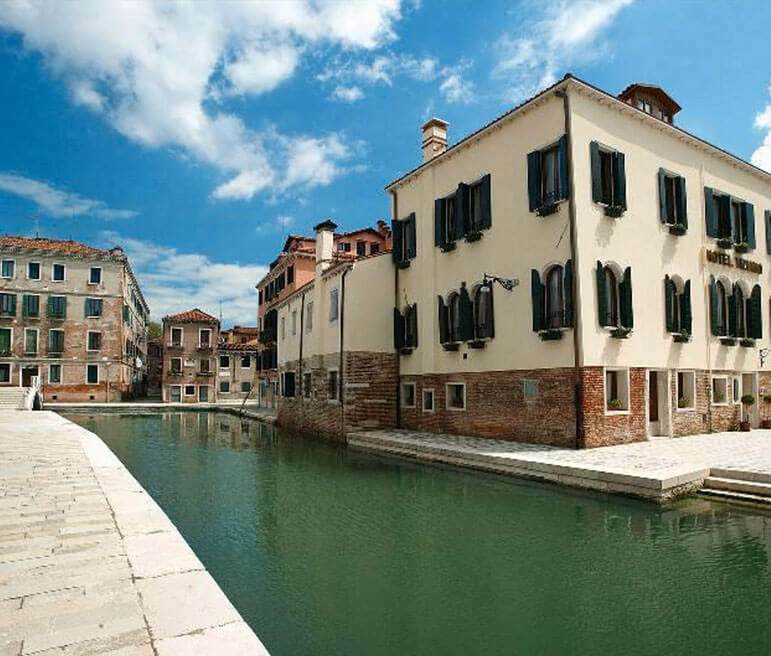 From the windows of the main rooms you can enjoy a nice view of one of the most beautiful canals in Venice. 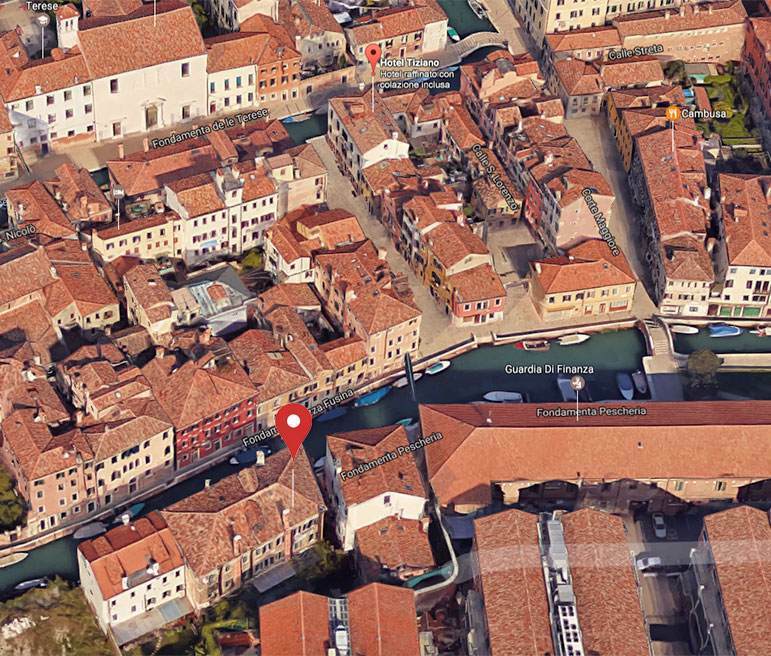 Check out: at 11:00 a.m. 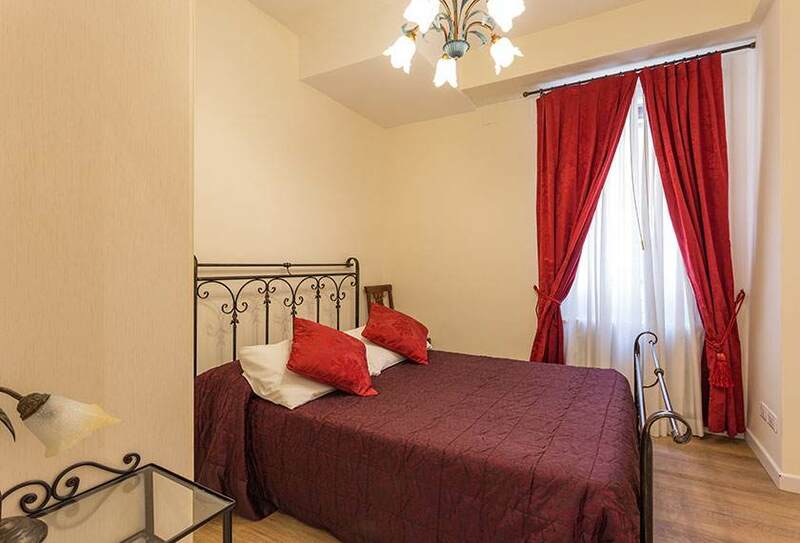 Comfortable 80 square meter apartment, consisting of two bedrooms with queen-sized bed, one of which has a third bed, two bathrooms with shower and a large kitchen with refrigerator. 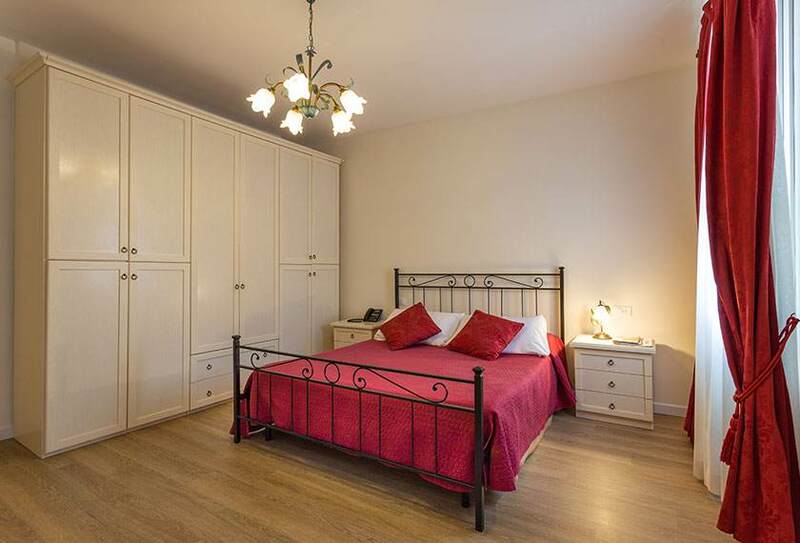 Spacious 90 square meter apartment consisting of two master bedrooms, one of which has a third bed, a single room, two bathrooms with shower and kitchen with refrigerator. 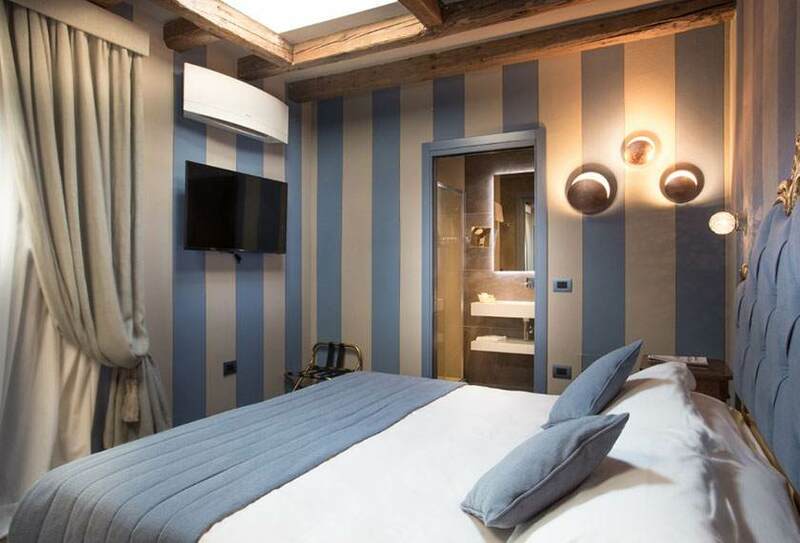 Large apartment of around 24 square metres, it is situated front the Hotel Tiziano, is composed of one double room, one large, kitchen and one bathroom with step shower. 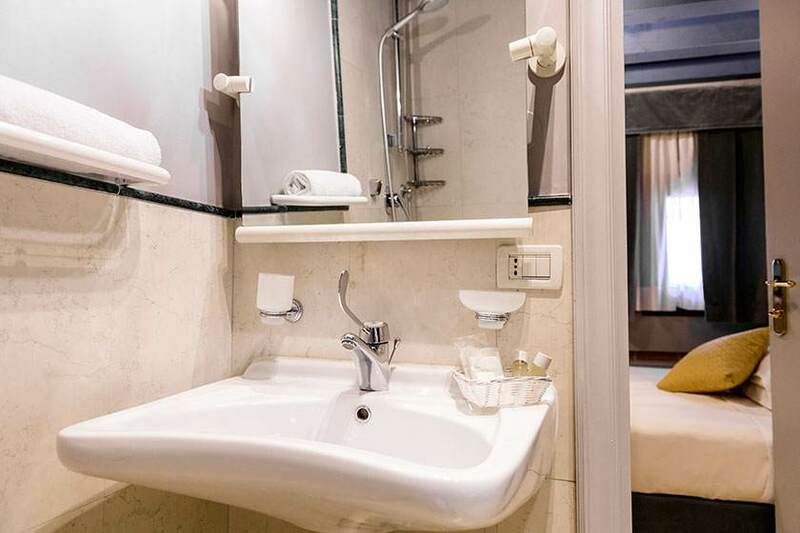 The bathroom is equipped with heated towel rail, shower cubicle, bidet and complimentary toiletries. 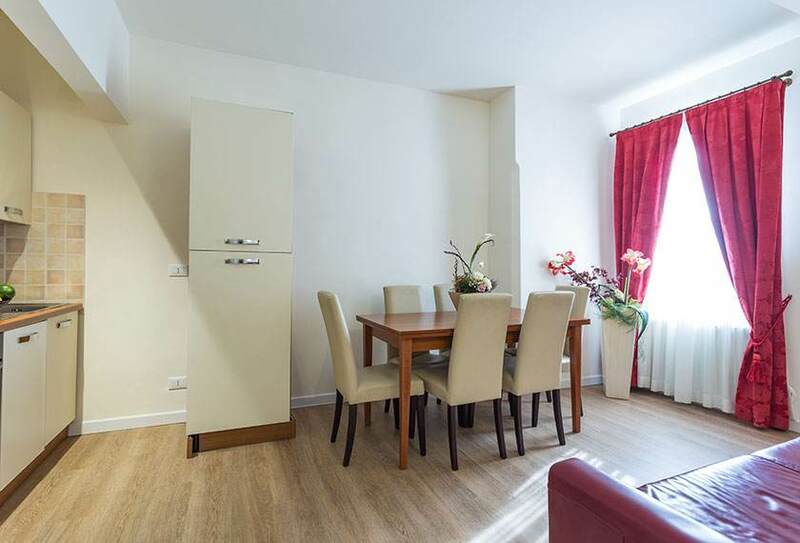 The apartment has it’s own thermostatically controlled heating, television, hairdryer, and refrigerator. 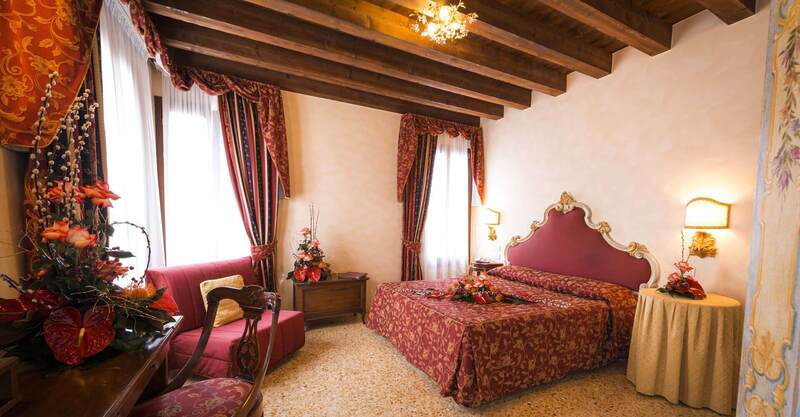 It is also decorated in soft colours in order to give you a relaxing stay. 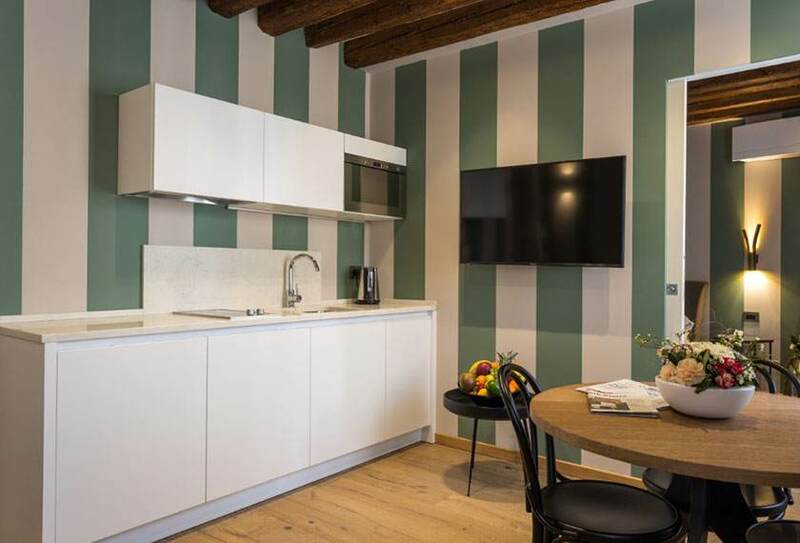 Large apartment of around 55 square metres, it is situated front the Hotel Tiziano, is composed of one double room, and one large room with a sofa, kitchen and one bathroom with step shower. 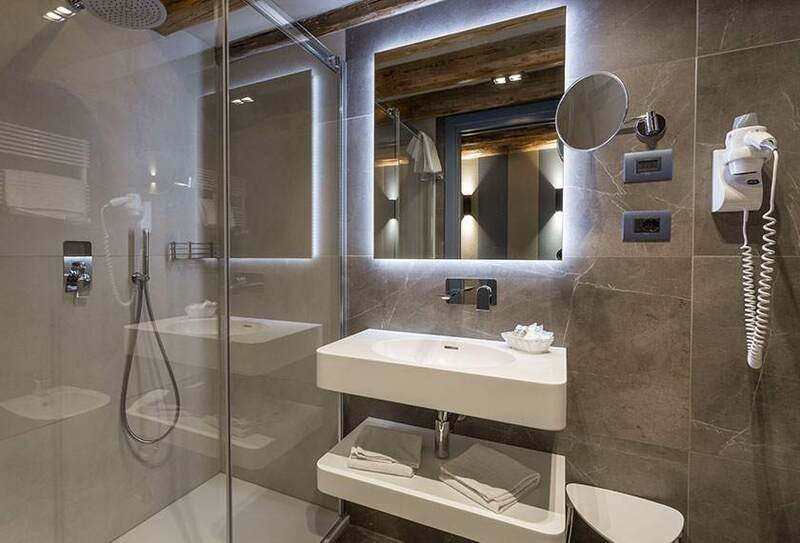 The bathroom is equipped with heated towel rail, shower cubicle, bidet and complimentary toiletries. 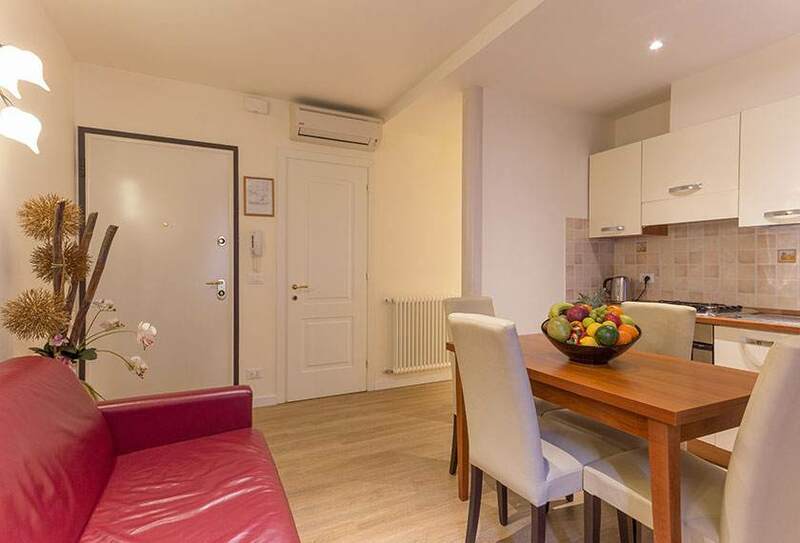 The apartment has it’s own thermostatically controlled heating, television, hairdryer, and refrigerator. 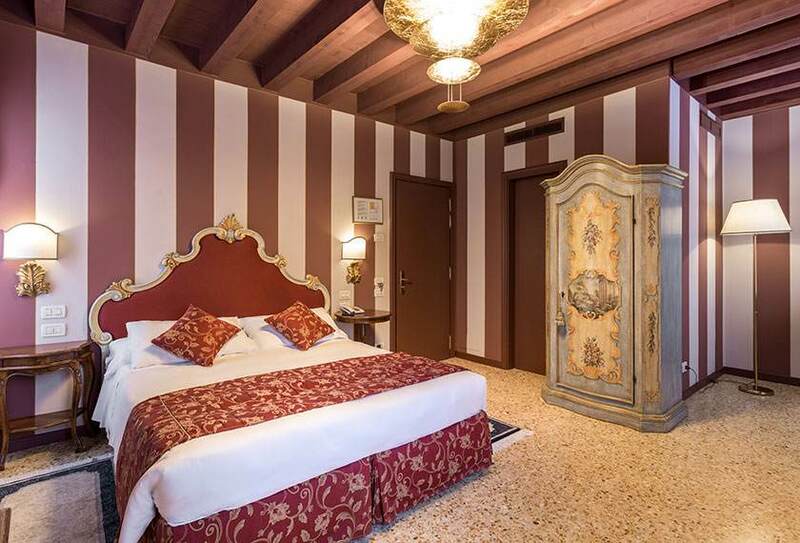 It is also decorated in soft colours in order to give you a relaxing stay. 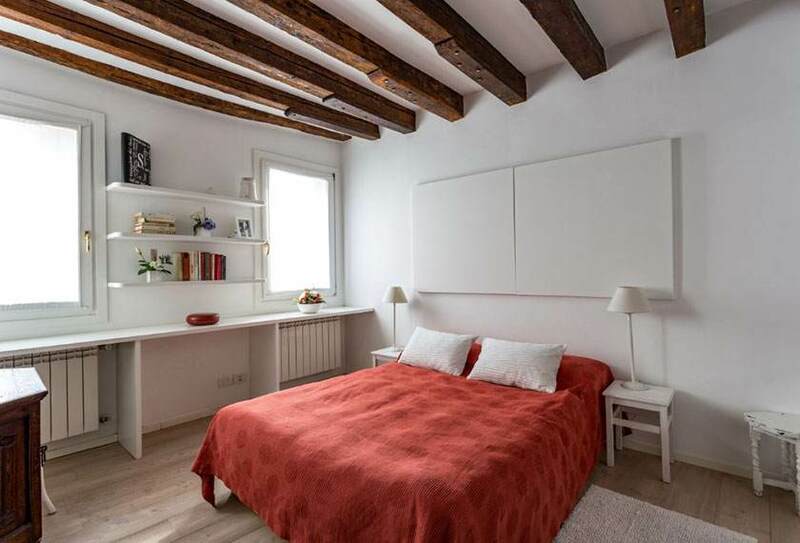 Large apartment of around 50 square metres, located at 5 meters from the Hotel, is composed of one double room with double bed , a living room with a sofa bed up to 2 people, kitchen and one bathroom with bathtub. 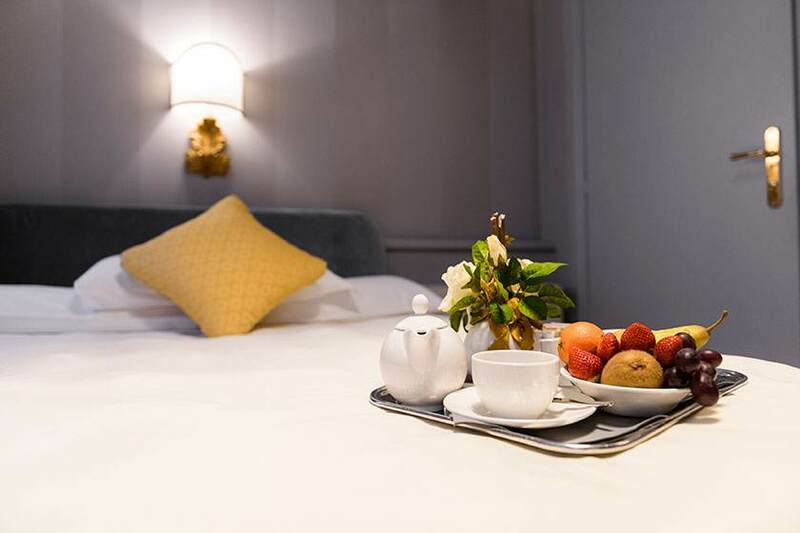 The bathroom is equipped with heated towel rail, shower cubicle, bidet and complimentary toiletries. 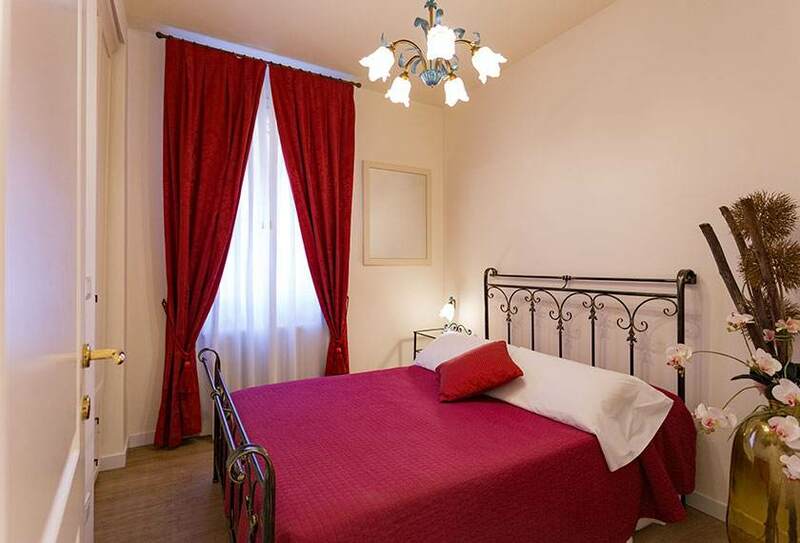 The apartment has it’s own thermostatically controlled heating, television, hairdryer, and refrigerator. 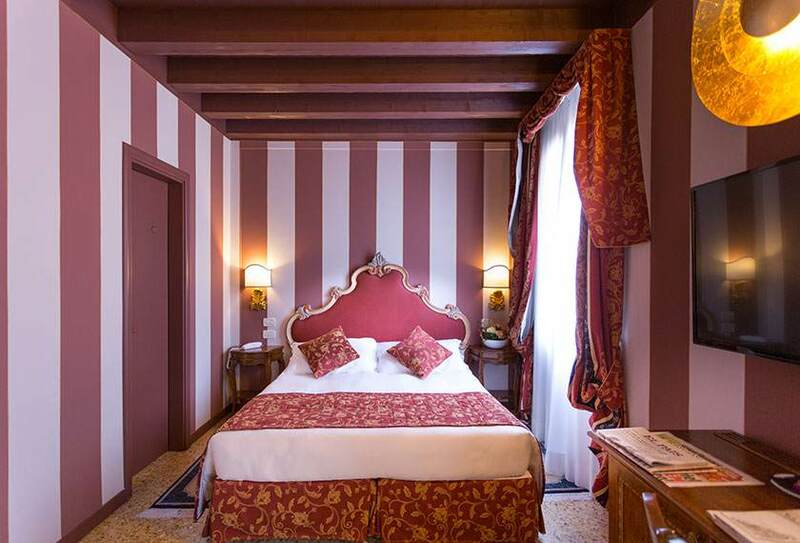 It is also decorated in soft colours in order to give you a relaxing stay. 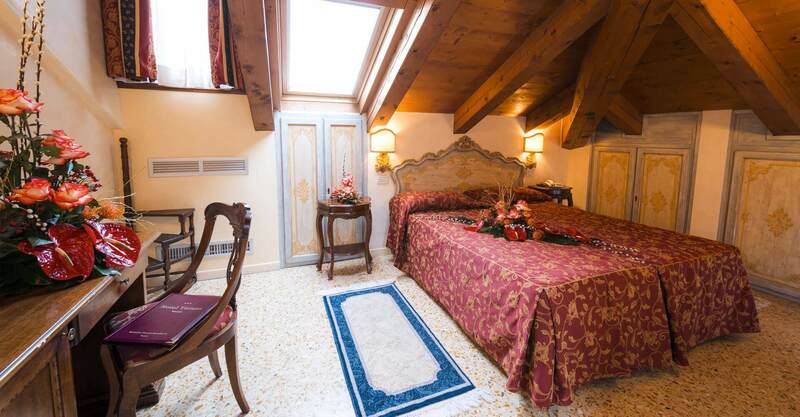 Modern room, it is situated front the Hotel Tiziano, is composed of one double room and one bathroom with step shower. 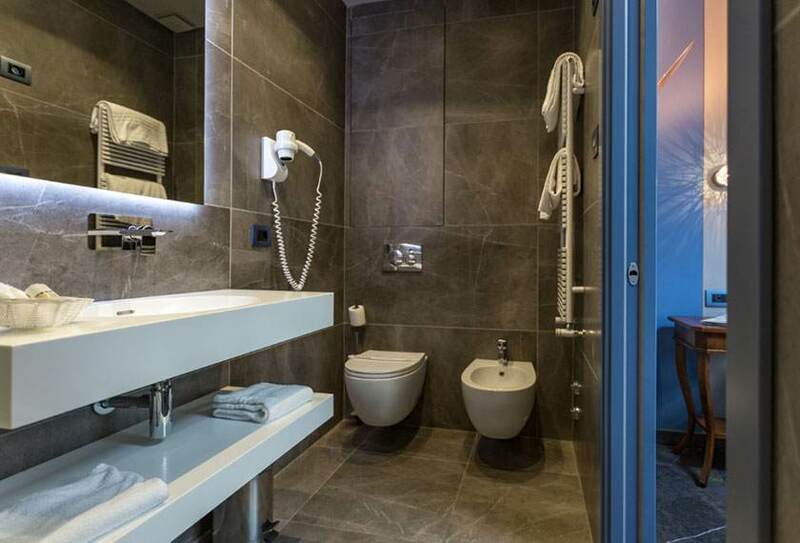 The bathroom is equipped with heated towel rail, shower cubicle, bidet and complimentary toiletries. 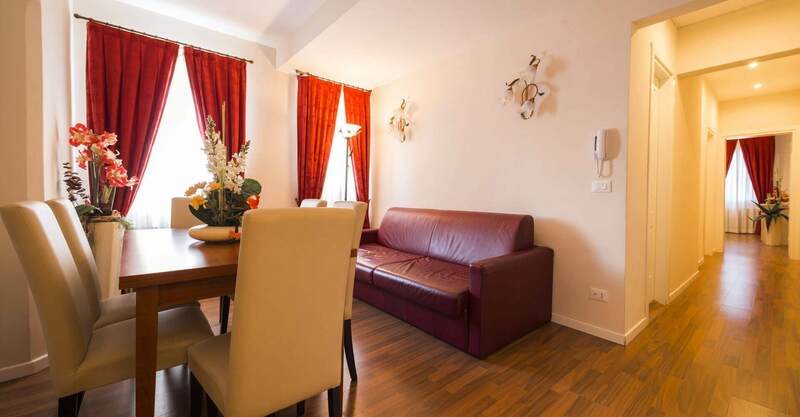 The apartment has it’s own thermostatically controlled heating, television, hairdryer, and refrigerator. 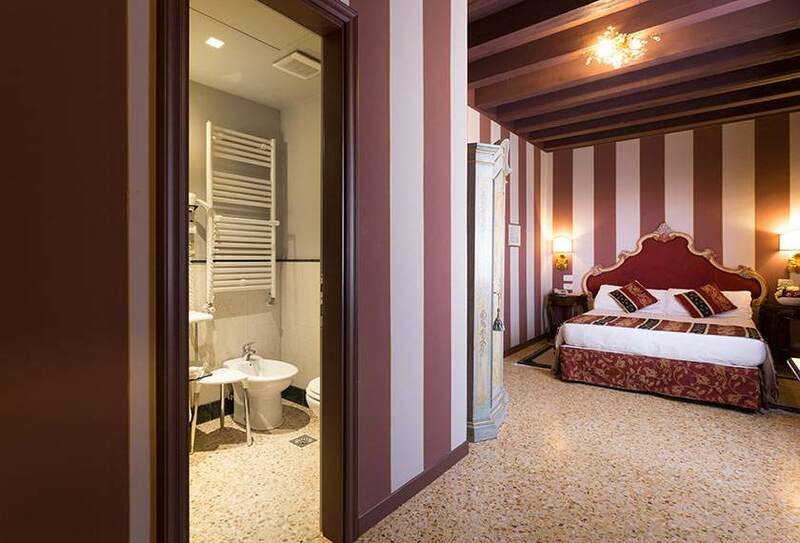 It is also decorated in soft colours in order to give you a relaxing.